Tried to take a professional-looking, new author/illustrator headshot but... this guy! Friday 16th March is the National Day of Action Against Bullying and Violence (NDA), with the great slogan: 'Imagine a world free from bullying'. 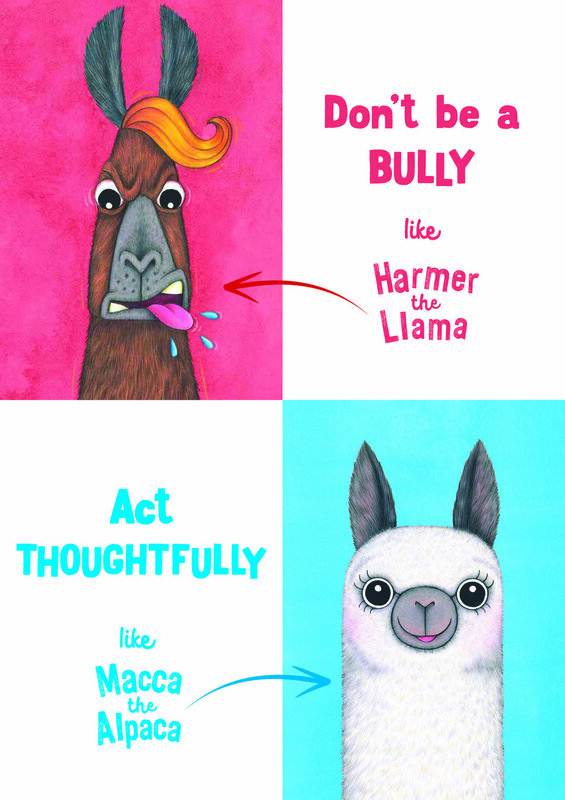 It's been lovely to hear that some teachers have been using Macca The Alpaca as a resource in their classroom to talk about the issue of bullying. Hopefully, with Harmer the bully llama being such a silly buffoon, little kids are realising it's so much better to be kind and thoughtful like Macca the Alpaca!